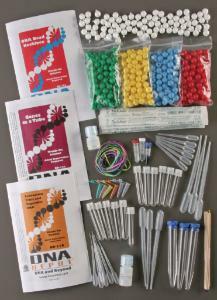 Students explore different concepts of DNA with this kit. Discovery-based experiments introduce students to various aspects of DNA including extraction from various fruits, vegetables, and their own cheek cells. 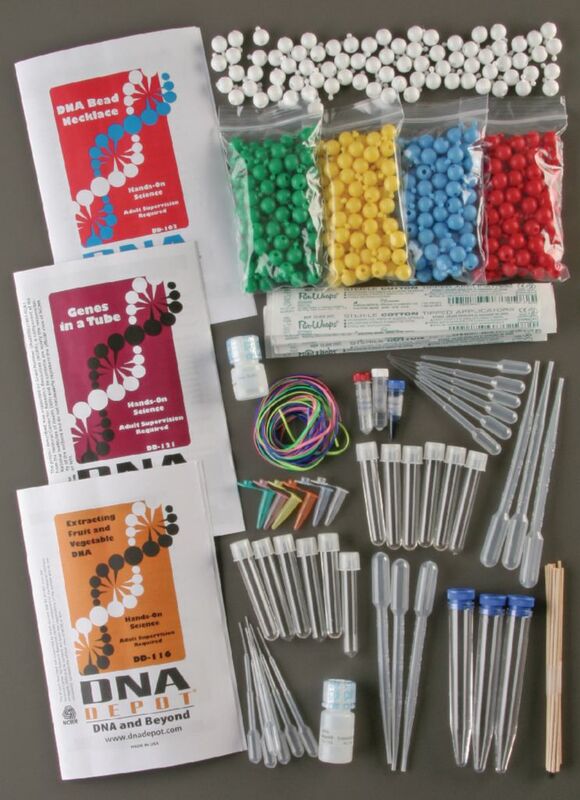 With four provided beads of different colors, students make a DNA model and individual necklaces of the extracted DNA stored in test tube pendants.